The live demonstrations give companies the opportunity to demonstrate the take-off and recovery procedure as well as displaying sensor imagery on screens to a senior military and trade audience. Different international companies have already confirmed they will showcase their main products during UMEX's live flying demonstration. Among them, Schiebel’s local cooperation partner Abu Dhabi Automated Systems Investments (ADASI) will highlight the well-known Camcopter S-100. 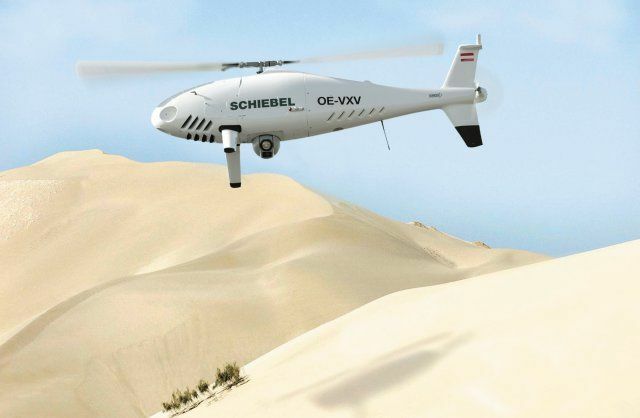 Schiebel/ADASI Camcopter S-100 Unmanned Air System (UAS) is a proven capability for military and civilian applications. The Vertical Takeoff and Landing (VTOL) UAS needs no prepared area or supporting launch or recovery equipment. It operates in day and night, under adverse weather conditions, with a beyond line-of-sight capability out to 200 km, both on land and at sea. The S-100 navigates via preprogrammed GPS waypoints or is operated with a pilot control unit. Missions are planned and controlled via a simple point-and-click graphical user interface. Insitu and Boeing will also be at UMEX 2015 to showcase the Integrator, in use in the US Marine Corps (under the RQ-21A denomination). Denel also chose UMEX 2015 to demonstrate capabilities of its battle-proven Seeker, as well as Shenzen AAE and its F50, AAI/Textron and the Aerosonde, General Atomics and its famous Predator in AFAD Version, and the Polish Air Force and its TBD. The flying demonstration will take place on Tuesday 24th and Wednesday 25th February 2015, from 10:00 to 15:00. A transport from and to ADNEC will be provided.